Save time by buying a store-bought dip and dressing it up! 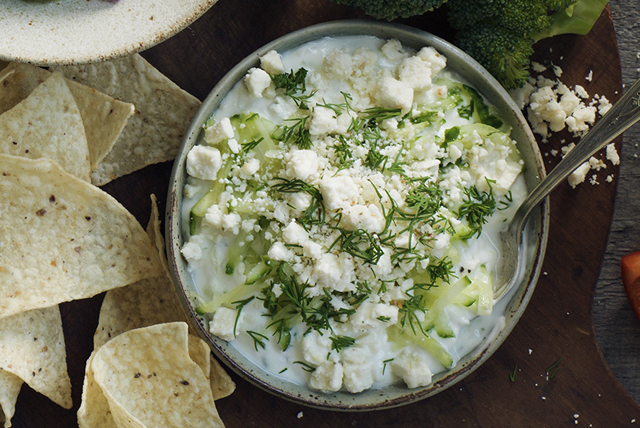 Adding shredded cucumbers to the tzatziki adds a refreshing crunch that pairs well with the crumbled feta. Worry not. Your secret short-cut is safe with us!